Intel has found a way to close the circuit on faster growth. Next-generation chips are cheaper, quicker and require less electricity. But toolmakers haven’t spent the sums necessary to make the switch. Intel’s $4.1 billion investment in ASML should remove such bottlenecks. The clever deal has multiple components. First, Intel will give the Dutch company $1 billion over five years for research and development into the production of 450-millimeter wafers and extreme ultra-violet lithography. These should cut costs and make chips more powerful. Intel also will buy a 15 percent stake in ASML in two increments, for a total of $3.1 billion. The risk is shared and both sides have plenty to gain. ASML locks in an important customer. It also can now develop new tools without diluting shareholders. The company will return to existing investors the cash raised from the new equity. Intel, meanwhile, gets stock with potential upside and recoups some R&D costs with equipment discounts. There are tax savings from deploying cash trapped overseas. And because any new ASML machines are available to all chipmakers, the deal sidesteps antitrust worries. More importantly, Intel reckons the arrangement will accelerate the deployment of new-wave microprocessors by up to two years. Making more chips per silicon wafer and cramming more circuits on them reduces Intel’s manufacturing costs and shrinks capital expenditure. Intel estimates the present value of converting to larger wafers at around $10 billion. Such changes are complicated so Intel may be too optimistic about the savings. But its manufacturing expertise is well-established. It’s safe to assume Intel will be the first to take advantage of any new ASML tools, giving it an edge. If it can produce more powerful chips than, say, AMD and sell them for less, it will help sustain its monopoly-style profits and margins. Moreover, smaller chips need less juice, a growing selling point for both servers and cellphones. Intel has yet to make any serious inroads into mobile. Nearly all manufacturers use designs from ARM Holdings. 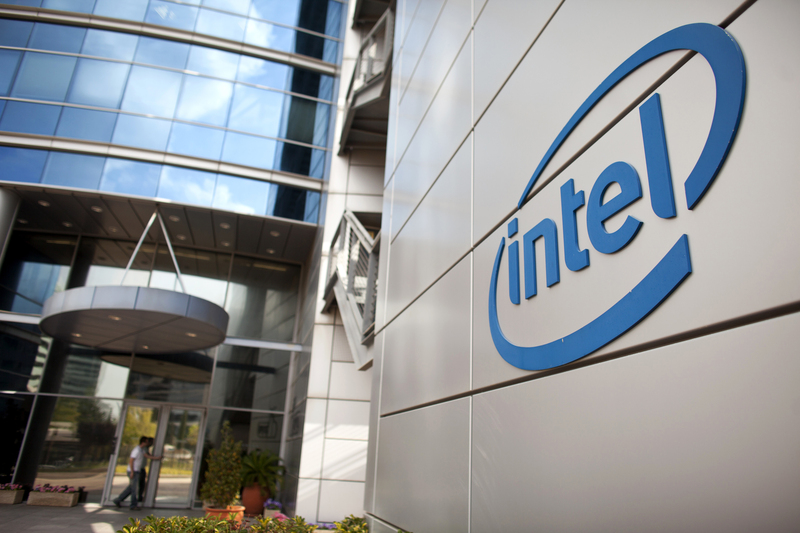 By forcing the industry to play to its strengths, however, Intel could just muscle its way into this lucrative market. A sign is shown at the entrance to the headquarters of Intel Corporation in Santa Clara, California February 2, 2010. Intel hit the US dollar bond market for the first time on Wednesday, talking home US$5bn, one of the largest deals of the year. Intel said on July 9 it would provide ASML, which makes machines to etch circuits onto silicon wafers, with $1 billion over five years for research and development into the production of 450-millimeter wafers and extreme ultra-violet lithography. Intel also agreed to buy newly issued shares of ASML equal to a 10 percent stake in the company for $2.1 billion, and also committed to acquiring an additional 5 percent stake for $1 billion.